Lemon car laws exist throughout the United States, protecting consumers who unknowingly purchase cars containing repeated, unfixable defects. These laws provide pathways for consumers wronged by auto manufacturers to find justice and get compensation for their losses. Lemon cars affect thousands of American consumers each year; the National Highway Traffic Safety Administration (NHTSA) estimates the car industry produces roughly 150,000 lemon vehicles every year. Every manufacturer in the space, including Honda, General Motors, Chrysler, Toyota and more have all built lemon cars. These lemon laws state manufacturers have an obligation to sell cars with written warranties and to stand by those warranties. This means if their vehicles get to the consumer with major or minor defects, they must make those customers whole. The manufacturer must repair the vehicle and if those repairs fail they much replace the vehicle or repurchase it back from the consumer. 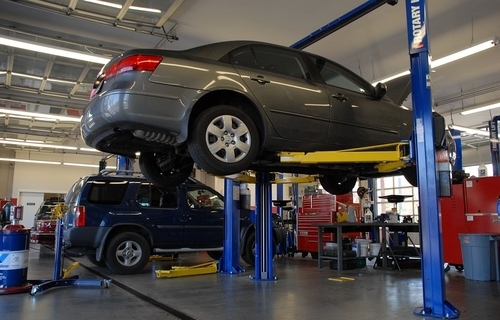 The Magnuson-Moss Warranty Act works in a similar fashion but at the federal level. This means the Act provides car lemon law protection in every state, superseding any state lemon laws. A consumer who feels their state lemon law can’t help them can turn to the Magnuson-Moss Warranty Act for support. One of the most notable aspects of the Magnuson-Moss Warranty Act is its provision that manufacturers must pay a consumer’s legal fees if the consumer prevails in court. The Act compels not just auto manufacturers but all consumer goods companies to enforce their warranty obligations quickly and completely by helping consumers pursue breach of warranty claims against them. Qualified, experienced lemon law attorneys know how to use state and federal laws to help consumers harmed by lemon cars and get them the justice they deserve. Each state has its own lemon law. Some simply refer to them as the state’s “lemon law,” with some states giving them names such as California’s “Song-Beverley Consumer Warranty Act” or Florida’s “Motor Vehicle Warranty Enforcement Act.” No matter the name the purpose stays the same: protecting consumers who unknowingly buy defective vehicles. State lemon laws typically cover all new vehicles purchased for personal, family or household reasons. The car you buy to go to work, pick the kids up from school, and get groceries on the way home is covered under every state law. Some state lemon laws also cover commercial vehicles, whether those include consumer vehicles used only by businesses or specifically trucks or transport vans. For example, Arizona’s lemon law covers all vehicles purchased “for purposes other than resale,” meaning the law protects that vehicle whether it is used by individuals for personal purposes or by businesses for commercial purposes. However, some state lemon laws, including Washington’s lemon law, deliberately excludes commercial vehicles bought in a fleet of ten or more vehicles at one time or under a single business purchase or lease agreement. All state lemon laws cover what they call “nonconformities:” defects or problems that create safety hazards, impair the vehicle’s use or market value, or both. These problems make the vehicle not conform to its warranty, hence the term. Every state lemon law stipulates any problems caused by the consumer’s unauthorized modifications are not covered by the law. One way in which state laws differ is how many failed repair attempts or how much time in the shop constitutes a lemon. Consumers in Texas, for example, must allow the manufacturer four attempts at repairing a defect before it’s considered a lemon. That number shrinks to two if the defect creates a “serious safety hazard.” The Texas lemon law also considers a vehicle a lemon if it stays in the garage for a cumulative total of 30 calendar days or more. Other states, such as Wyoming, require fewer unsuccessful repair attempts before declaring a vehicle a lemon. The Magnuson-Moss Act is a federal law that protects consumers just as the various state laws do. However, the federal Act supersedes these state laws letting lemon law attorneys pursue claims against auto manufacturers regardless what state from which the claim originates. The Act, signed into law by President Gerald Ford in 1975, arose in response to merchants misusing and abusing warranties and disclaimers in the 1970s. The Act makes warranties on consumer products, including automobiles, use plain language most customers will easily understand. The Act also empowers the Federal Trade Commission to enforce warranties. By making it easier for consumers to sue manufacturers for breaching their warranties, the Act encourages those companies to stand by their warranties in a timely manner. No company wants to violate federal law. The Act lets consumers make informed financial decisions with clear and complete warranty information in hand, and promotes competition between companies through warranty coverage. It also forces companies to specify whether the warranties they offer are “full” or “limited,” detailing exactly what the warranties cover in plain language somewhere customers can easily read before purchasing. The Act also prohibits “tie-in” purchases, meaning manufacturers cannot require customers to use specifically branded parts in repairs to maintain warranty coverage. The Act maintains that consumers are always entitled to the basic protections of an “implied warranty of merchantability.” This is a simple legal concept stating a good sold should do what it is supposed to do. For example, a brand new car should transport a consumer from one place to another safely. If the car fails at this, it does not comply with the implied warranty of merchantability. One of the most important facets of the Magnuson-Moss Warranty Act is how it forces manufacturers to pay a plaintiff’s legal fees if the manufacturer loses in court. This lets lemon law attorneys represent a wide range of clients without the client needing to pay up front. This also encourages manufacturers to settle disputes long before going to trial. Can Anything Help with My Used Lemon Car? Very few states have a specific used car lemon law, because of how warranty law works. Most state lemon laws cover consumers who purchase or lease vehicles still covered by the original warranty, and protect them when problems arise during that warranty’s coverage period. The Texas Lemon Law, for example, can’t help used car consumers who buy a vehicle long after its original factory warranty expired. However if the vehicle is a newer used car still covered by the manufacturer’s original warranty, they are still covered. Some states, such as New York, offer specific used car lemon laws. The New York Used Car Lemon Law requires used car dealerships provide warranties ranging in length from 30 to 90 days depending on the miles driven on the car at the point of purchase. These warranties cover problems with the engine, transmission, drive axle, brakes, steering system, radiator, alternator, generator, starter, and ignition system. Even though most states lack a specific used vehicle lemon law, there might be a legal option for you. Contact the law offices of Allen Stewart, P.C. for a free consultation and let our legal experts find the best path for you.